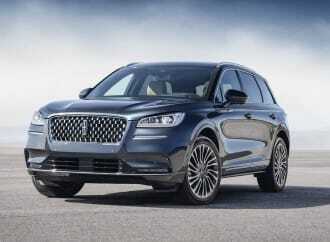 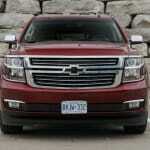 The king of road trips title belongs to the family of full-size SUVs curated by the General Motors conglomerate. 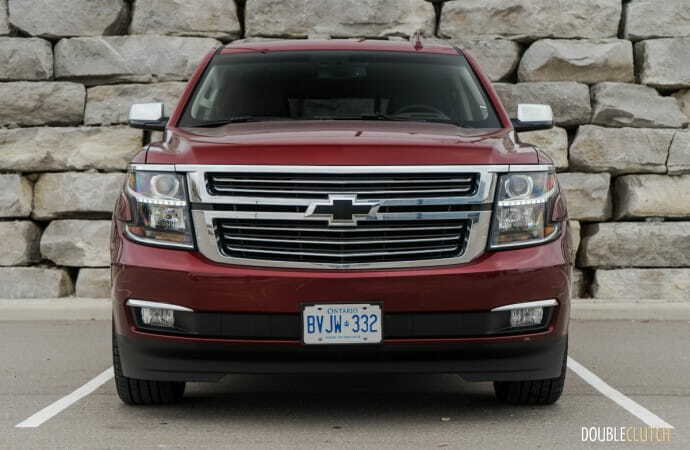 Whether it’s a long-wheelbase Suburban, Yukon XL (reviewed here) or Escalade ESV, or a standard size model, these trucks have proven over the years to be some of the best long distance travellers money can buy. 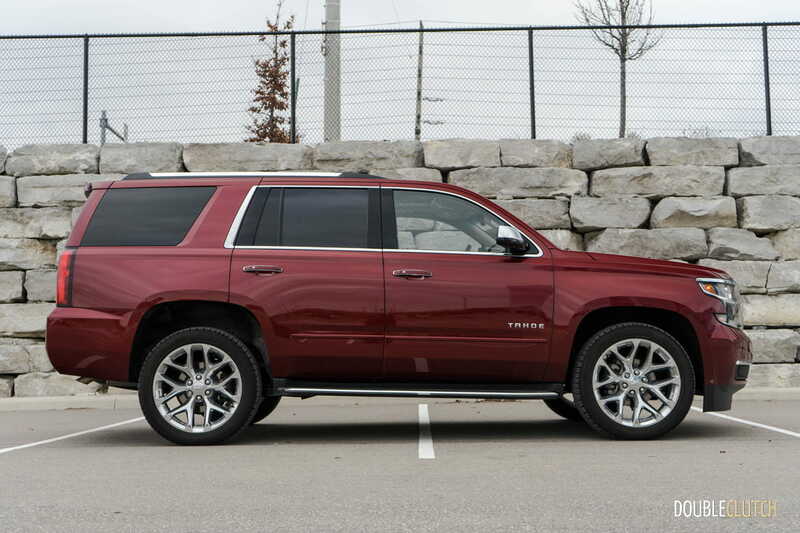 With the Cadillac Escalade (reviewed here) at the top of the hill, and the Yukon Denali acting as the middle ground, we spend our time testing the 2017 Chevrolet Tahoe LTZ Premier. This truck was put through the paces as one of our long-haul vehicles for our annual pilgrimage to the North American International Auto Show in Detroit, Michigan. 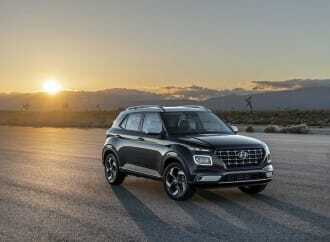 Upon our return, we then used the truck as a daily commuter around town to truly test the contrasting differences between highway cruising and everyday in-town driving. 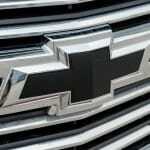 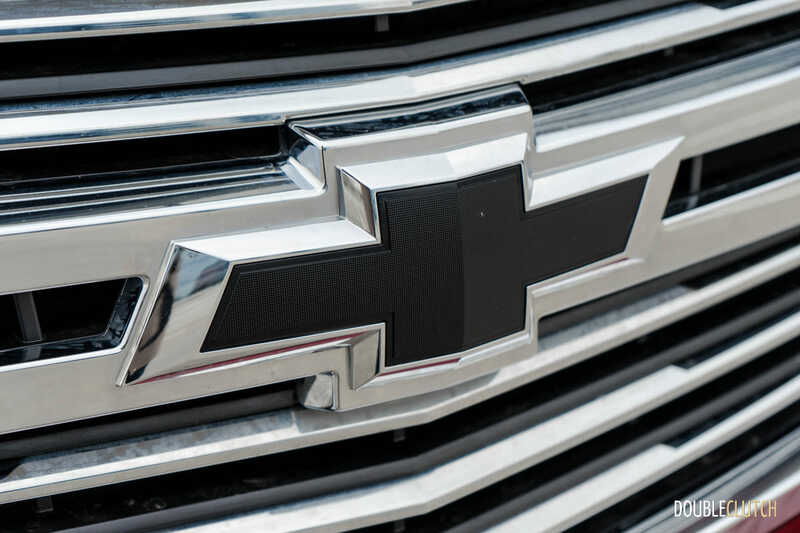 GM briefly made the attempt at offering these trucks with hybrid drivetrains, and to made a long story short, that is no longer an option moving forward. 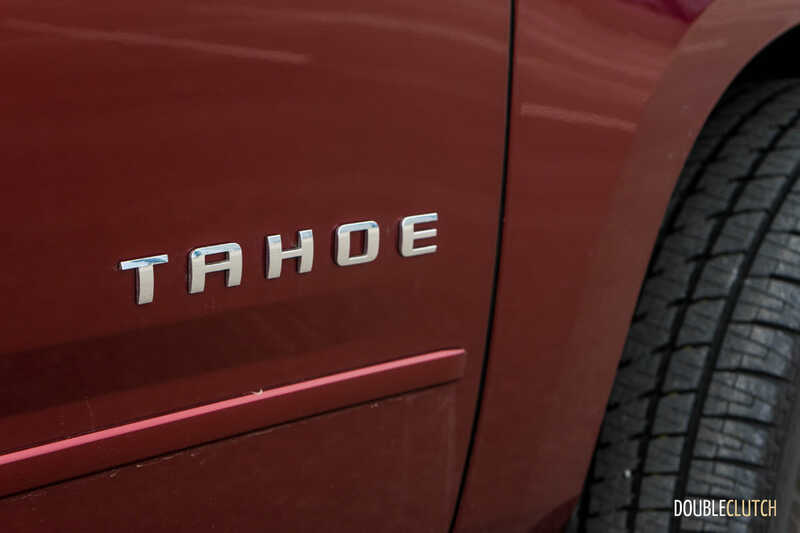 Unlike the more expensive Yukon Denali and Escalade, the Tahoe is only made available with an Ecotec 5.3L direct-injection V8, mated to a six-speed automatic transmission with four-wheel-drive. 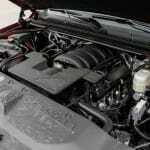 The engine produces 355-horsepower at 5,600 RPM, with 383 lb-ft. of torque at 4,100 RPM. 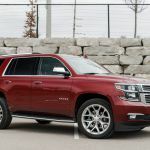 The Tahoe has enough passing power for a large SUV, however, it would benefit from the 6.2-liter with the eight-speed transmission that is made available on the Yukon Denali and Cadillac. 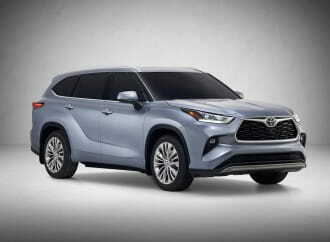 The 5.3-liter does have active cylinder technology that will disable four of the cylinders to improve fuel efficiency when the truck is under a light load. 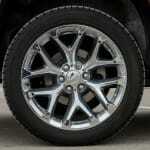 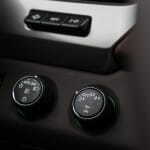 This was noted when traveling downhill or cruising at a constant speed on the highway. 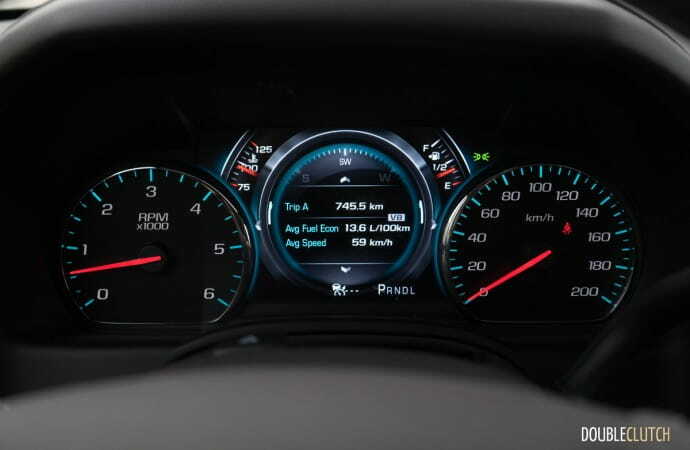 It’s a bit of an art to master, as any attempts to make a quick pass on the highway will result in V8 mode being re-engaged. 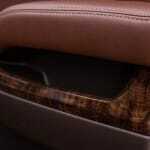 Power is decent right through the powerband though, with ample oomph when you need it. 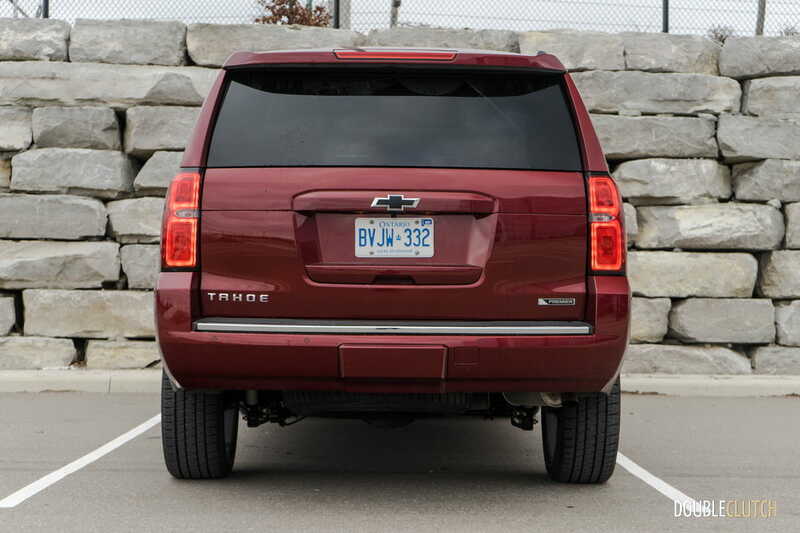 With a combined rating of 13.2L/100km, at 15.2L/100km city and 10.8L/100km highway, the Tahoe returned surprising numbers considering the winter tires and cold weather we experienced. 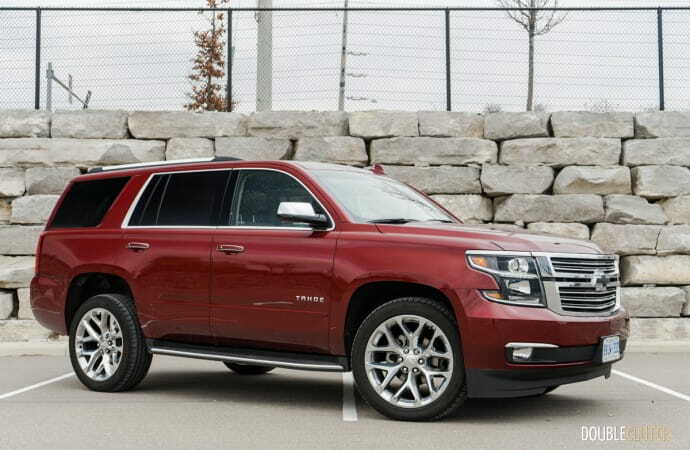 With four passengers and a full load of luggage, the Tahoe managed to reach 11.8L/100KM after four hours of constant highway driving with the intent of attaining the lowest possible number. 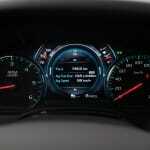 My combined average after my test week was 13.8L/100km which falls in line with the manufacturer ratings. An eight-speed transmission would surely help lower that number even more, but the Tahoe does accept 87-octane regular fuel. 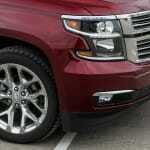 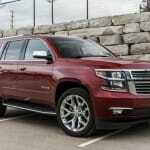 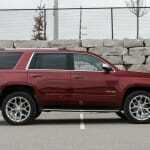 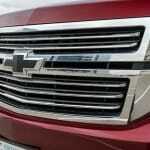 As an enormous SUV, the Tahoe LTZ performs rather well. 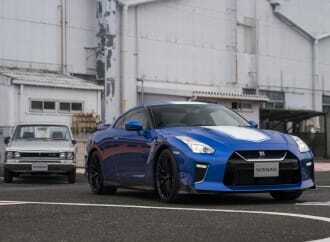 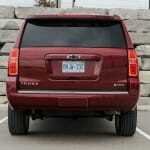 Contrary to popular belief, driving one of these brutes proves to be rather easy. 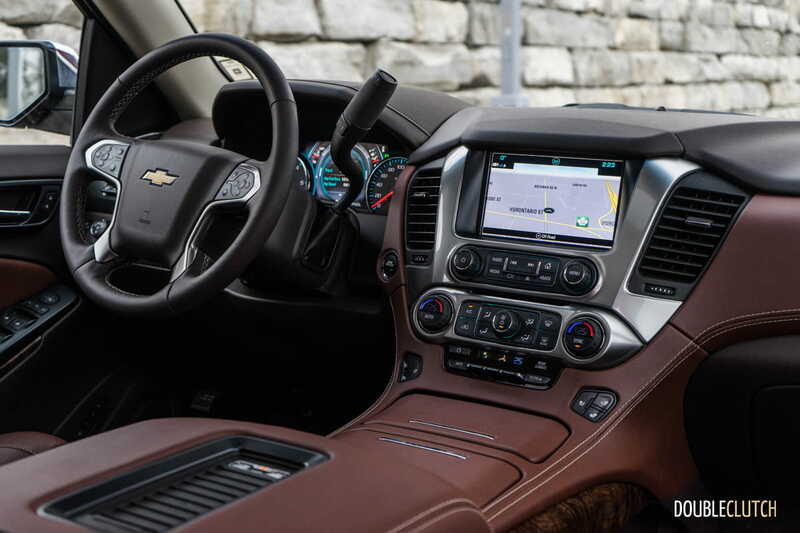 Whereas there was a point in time where driving a large vehicle required some experience navigating roadways and tight spaces, the 2017 Tahoe LTZ employs plenty of technology to help the driver move about scuff free. 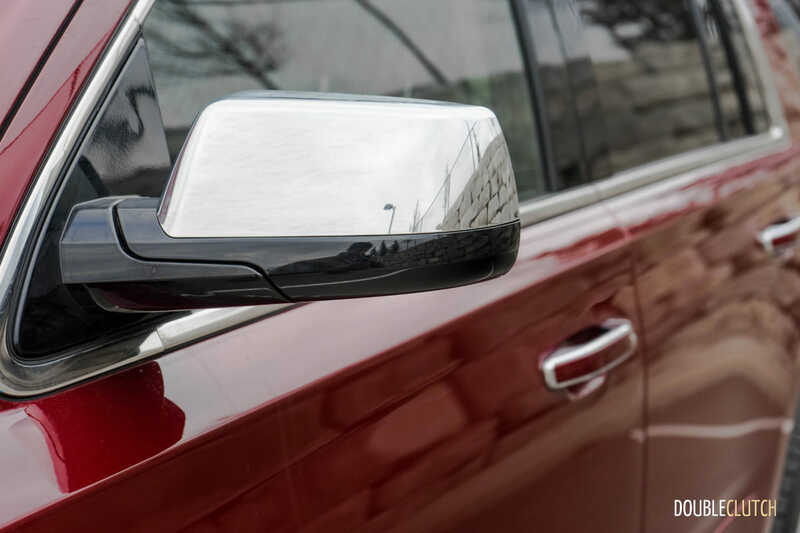 Standard technology includes plenty of vehicle assists that keep you in your lane, and warn you if it believes you are about to collide with a vehicle in front of you. 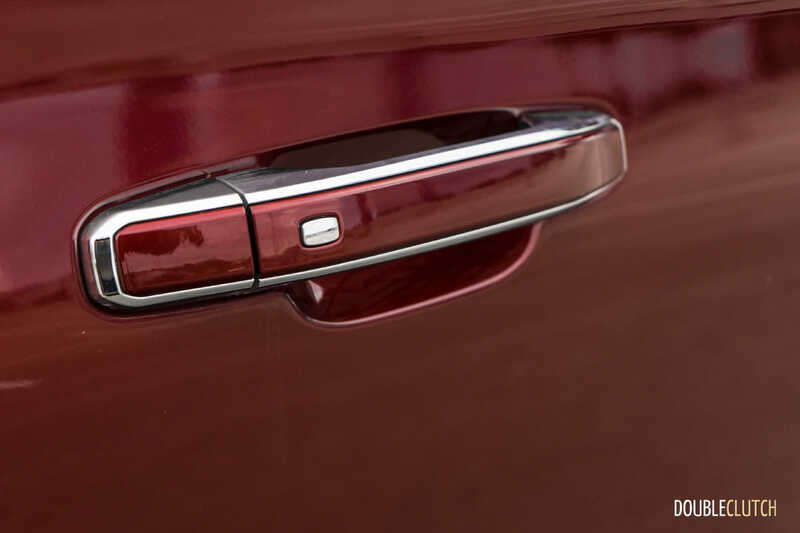 Parking comes easy thanks to front and rear parking sensors, an integrated rear vision camera, and rear cross-traffic alert. 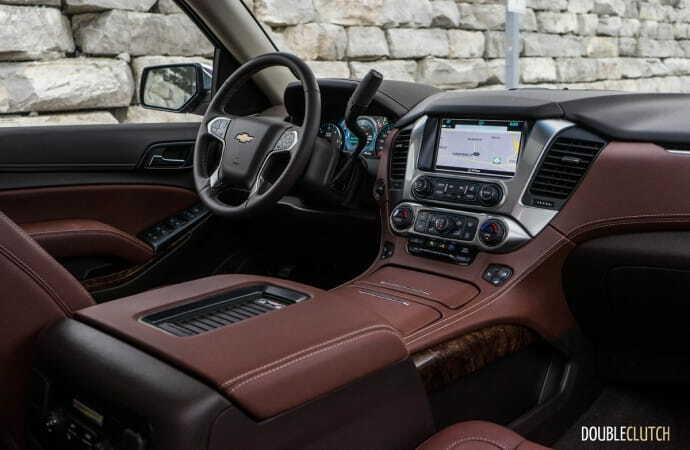 The LTZ Premier is as luxurious as the Tahoe can be, with ample chrome accents and a premium interior fit for an oil company executive. 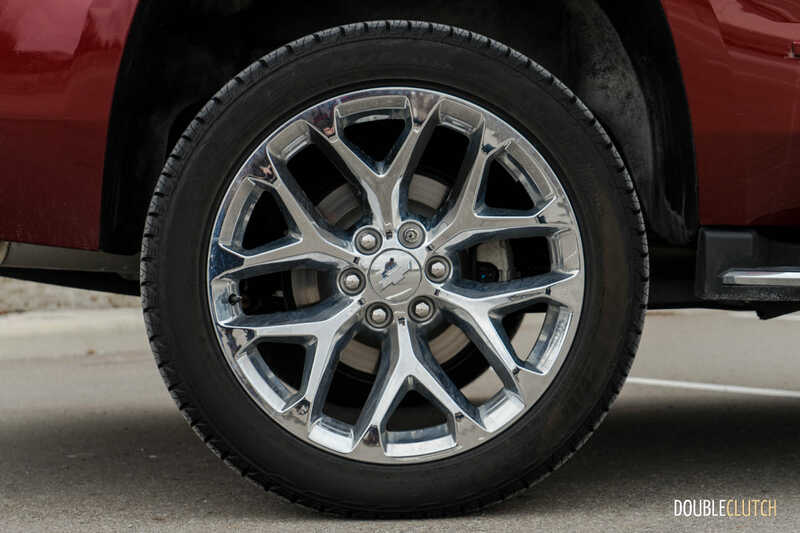 Our tester sported the Siren Red Tintcoat metallic paint ($595) and had GM’s optional 22” six-spoke chrome multi-feature design aluminium wheels ($3,195), also noted as the most expensive wheel option for their full-sized SUVs. 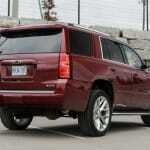 There are some distinctive features on the LTZ that do set it apart from the “lesser” LS and LT models. 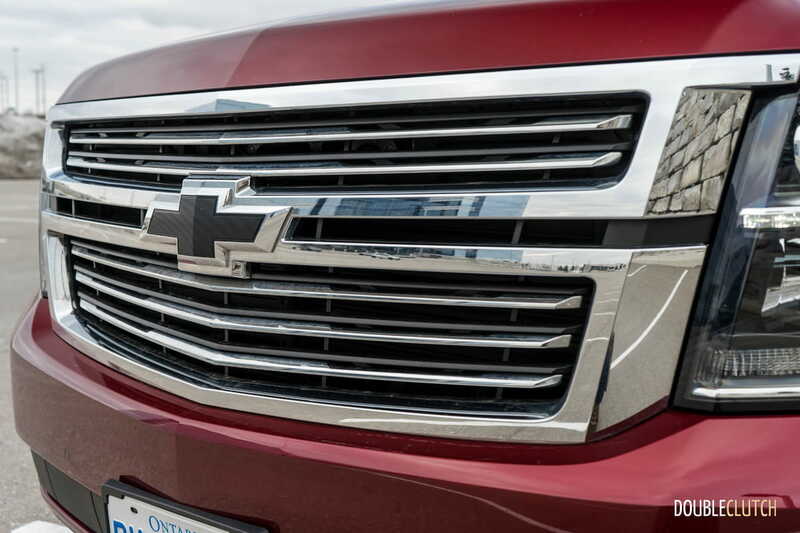 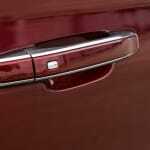 For instance, the grille on the LTZ is fitted with horizontal chrome slats, along with fog lamps that are integrated into the bumper. 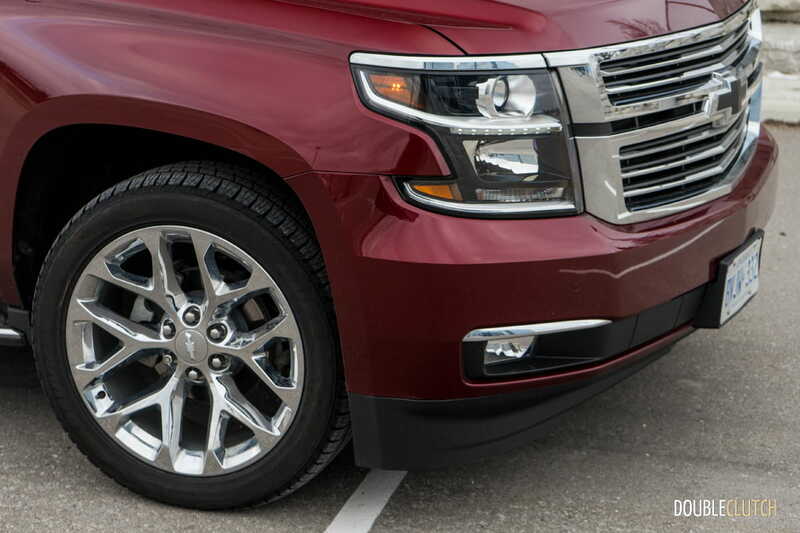 Chrome bits embellish almost every angle of the exterior, with chrome slats on the running board, chrome mirror caps, chrome roof rails, chrome door handles, and another chrome slat on the rear bumper. 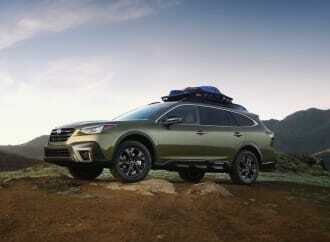 The styling is an interesting take on the conservative two-box SUV design, immediately identifiable as a Chevrolet and rather attractive overall. 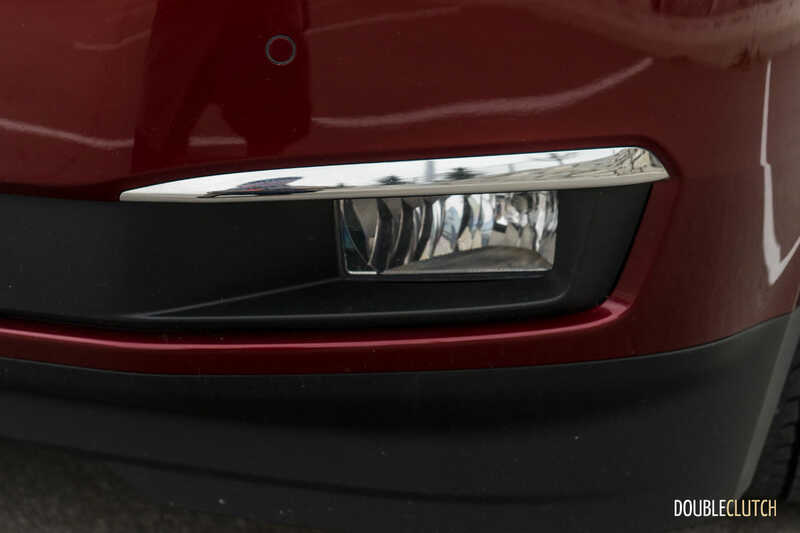 High intensity discharge (HID) headlights illuminate the roads at night, whilst LED daytime running lights take over when additional lighting is not needed. 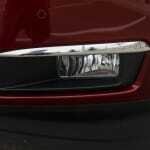 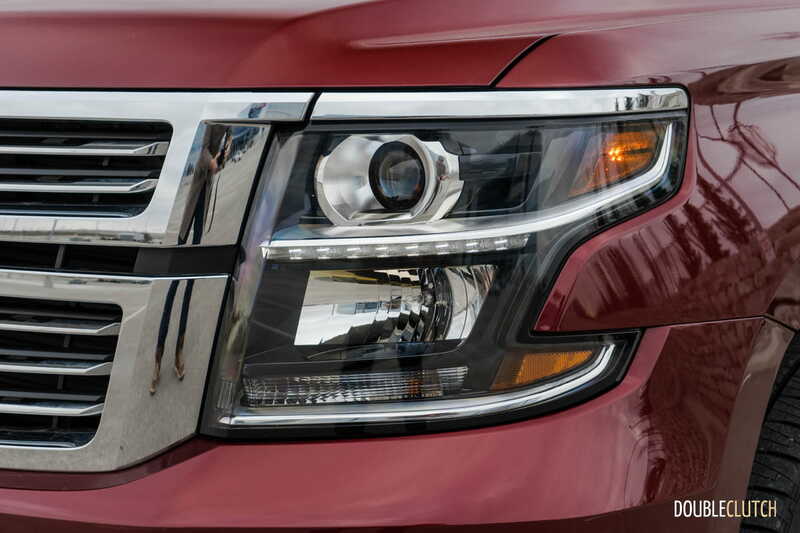 This happens to be a unique feature to the LTZ, as other models utilise halogen projector bulbs as both daytime running lights and night driving. 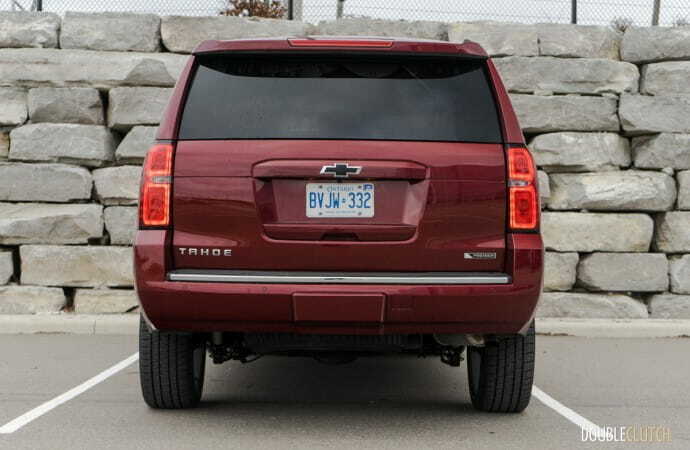 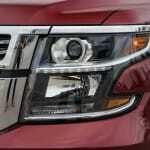 Out back, the Tahoe sports a dual section LED taillight design, with halogen bulbs acting as the actual brake lights. 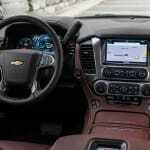 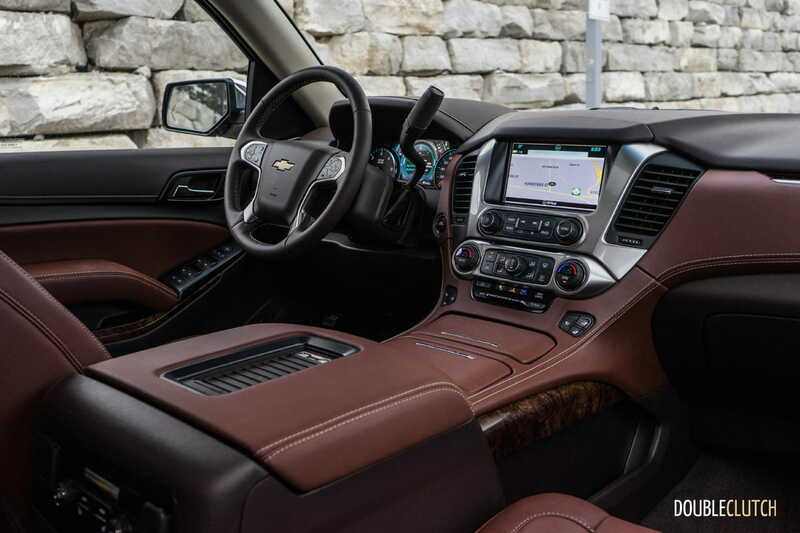 The interior of the Tahoe is where the luxurious nature of this LTZ trim level becomes apparent. 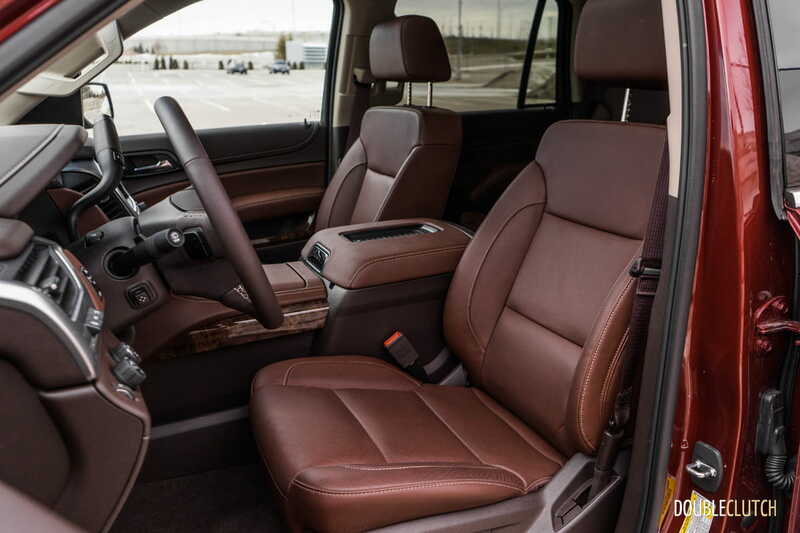 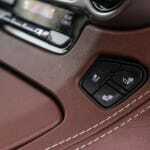 Optioned with the Cocoa and Mahogany leather appointments, this contrasted brown interior emits a sense of sophistication otherwise not as apparent with common black or beige interiors. 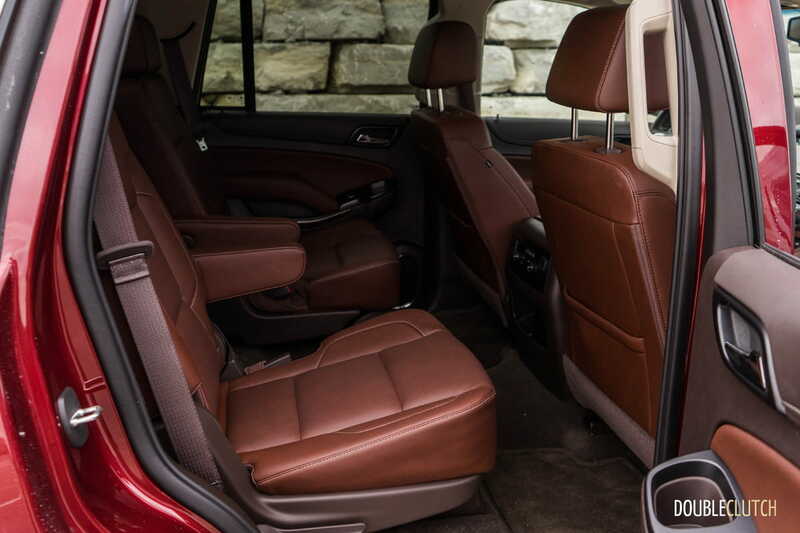 The full feature front bucket seats are draped in perforated leather, offering both heating and ventilation depending on the season. 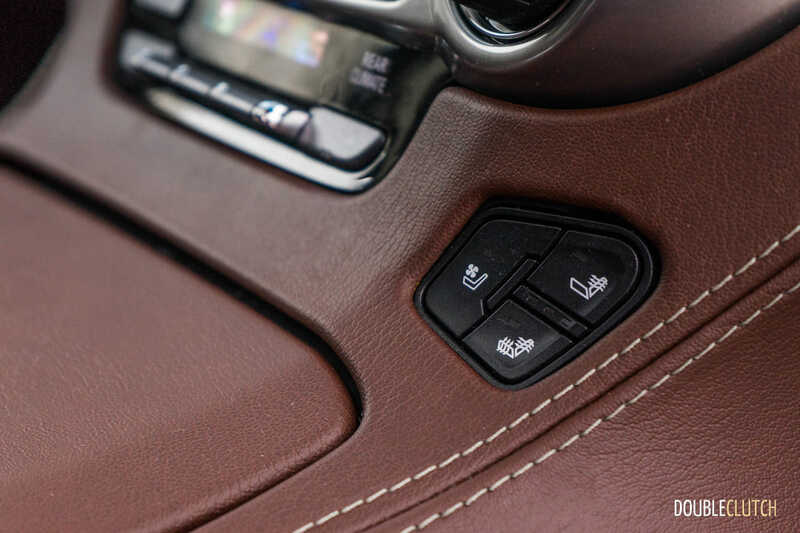 A heated steering wheel is also on board, and will keep your hands nice and toasty on colder days, while rear passengers can enjoy heated second row captain’s chairs. 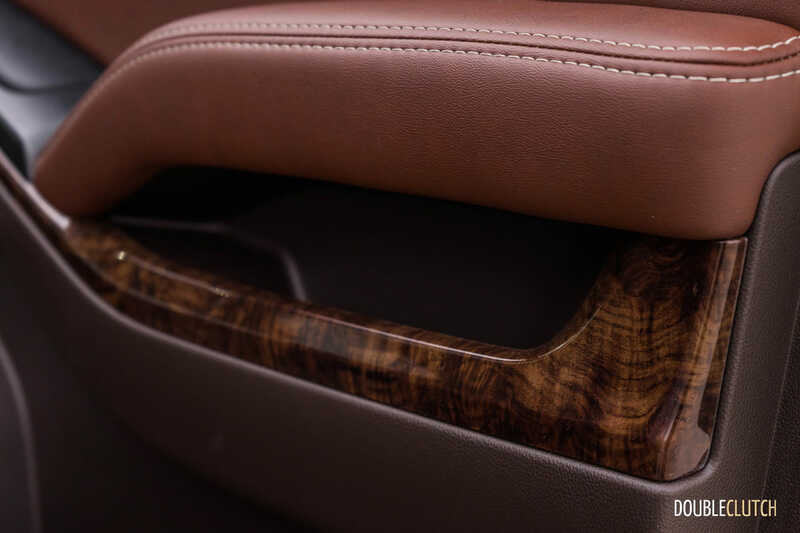 A third row is included as a 60/40 split configuration; however, trunk space is significantly reduced to roughly a foot in depth when these seats are in their upright position. Those requiring more space should consider the extended wheelbase models available, the natural progression from the Tahoe being the Suburban. 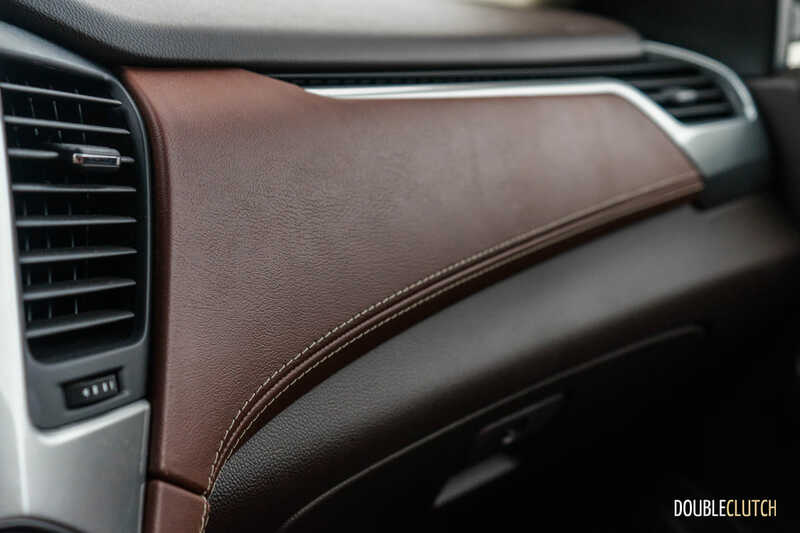 Occupants can enjoy their music through a Bose Centrepoint surround sound system, while using Bluetooth connectivity or USB to stream media devices. 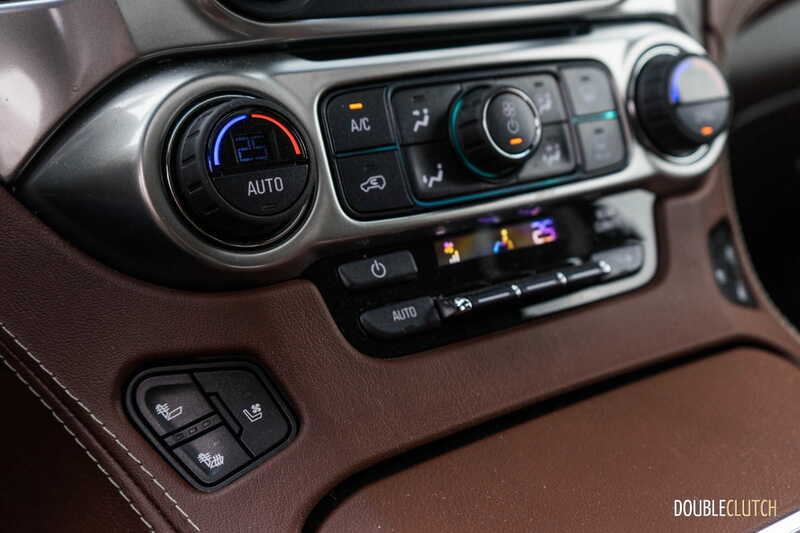 As convenient as Bluetooth technology is, the Tahoe’s Bluetooth system failed to impress as load times were slow when compared to other manufacturers. 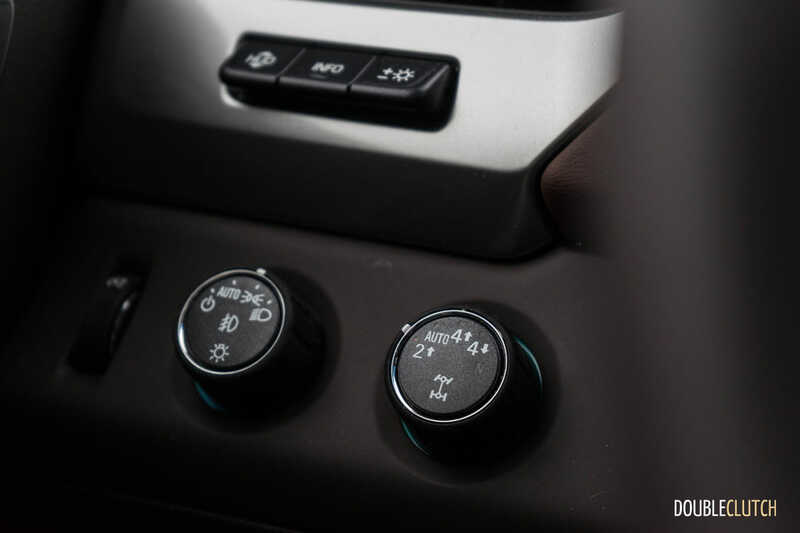 For example, whereas most systems respond instantly to user inputs, the GM system takes three to four seconds before responding when changing songs. 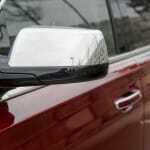 As minor of an inconvenience this is, a delay like this proves to be an annoying setback. 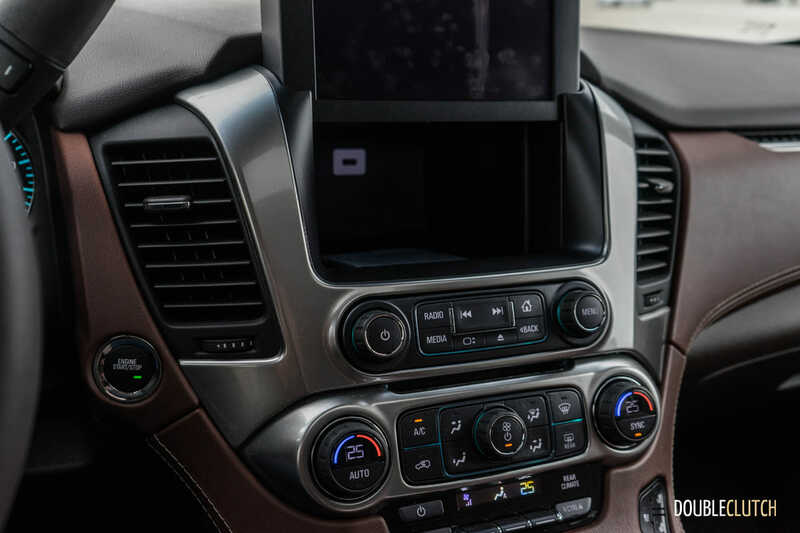 GM’s OnStar subscription package with 4G-LTE enables the ability to turn your vehicle into a WiFi hotspot, perfect for those looking to save on data charges on their mobile devices. 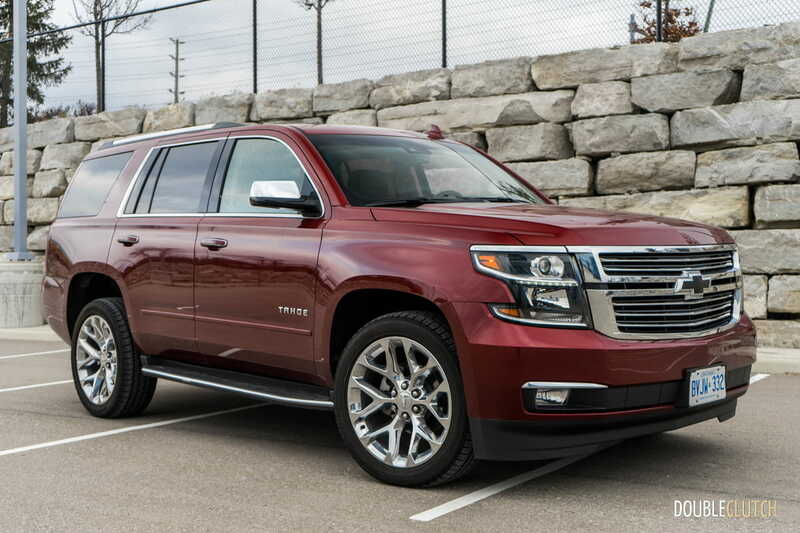 The 2017 Chevrolet Tahoe LTZ Premier has a starting price of $72,800, which is a $15,710 increase from the base LS model. 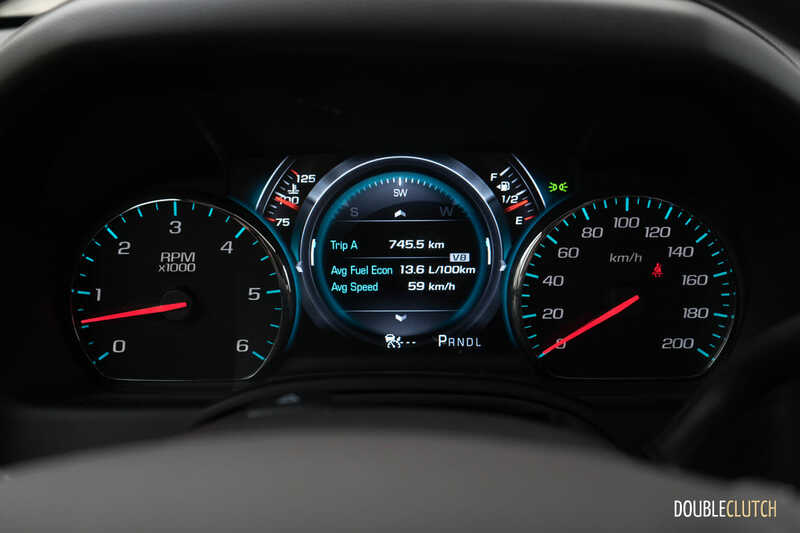 Once additional extras were tacked onto the build sheet, including power sunroof ($1,325), adaptive cruise control ($1,095), an 8” reconfigurable driver information centre with heads up display ($995), and the black bowtie package ($185), we end with a final total of $82,675 for our test vehicle. 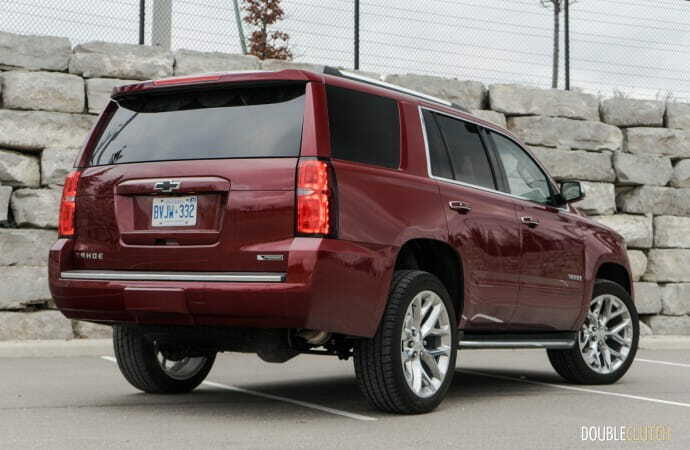 This is by no means cheap, but the Tahoe offers a decent amount of value considering how much space it offers. 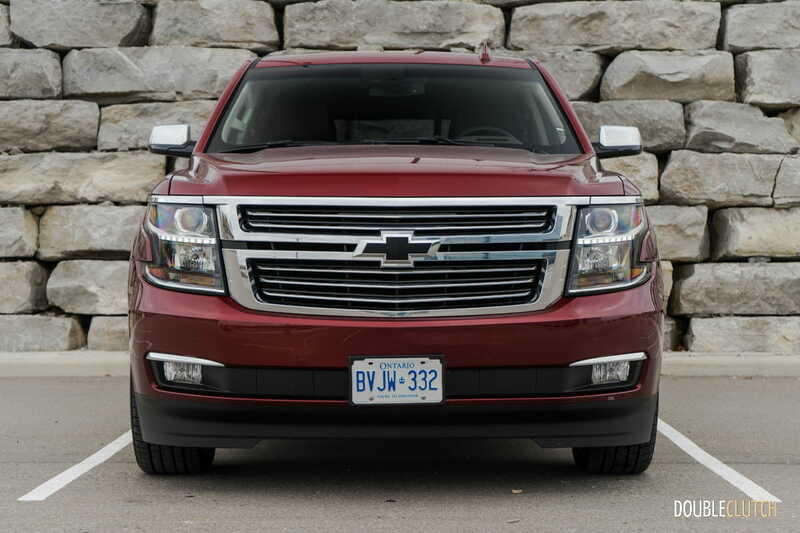 Option choices will be purely subjective, and we don’t foresee a massive take rate on the LTZ and LTZ Premier model; most Canadians will opt for conservatively-optioned LS and LT models. When considering the Tahoe in such a highly optioned configuration, it’s worth debating the upgrade into a Yukon Denali (reviewed here). 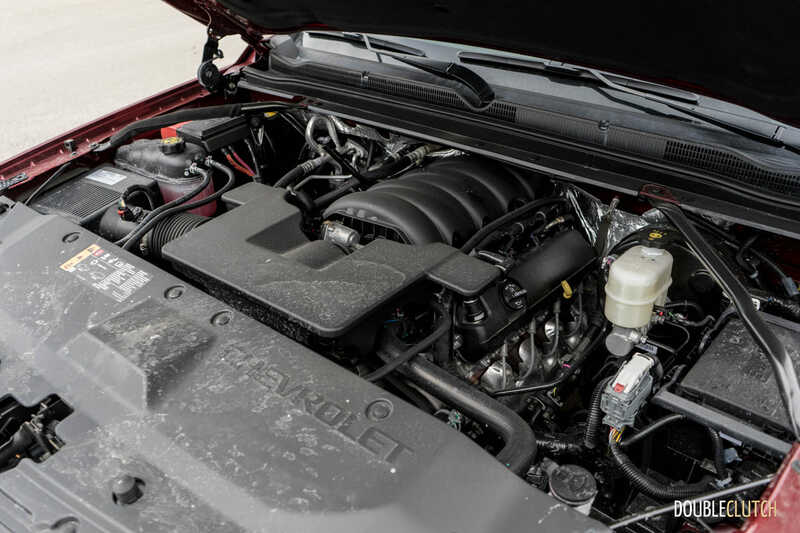 While most features will be the same, the Yukon gets arguably better interior trimmings and a more potent powertrain (6.2L and eight-speed auto). 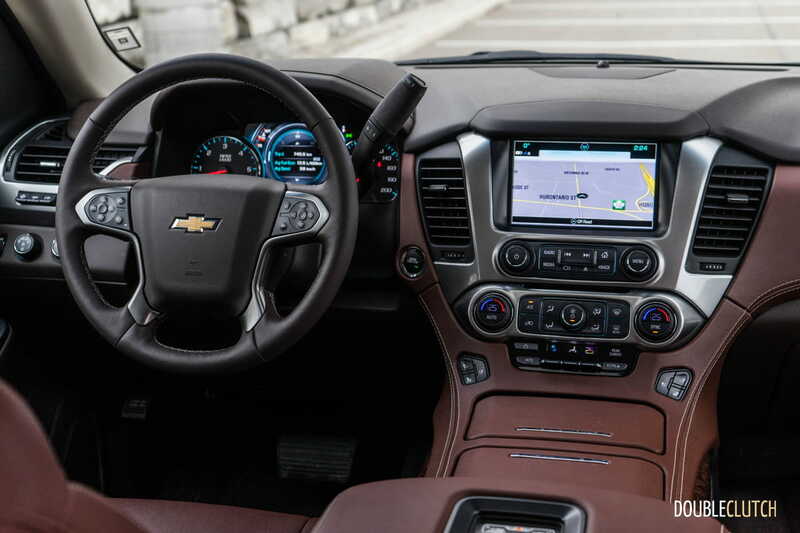 The 6.2 is a bit smoother in operation, offers more power, and thanks to the better transmission, real-world fuel economy will be approximately the same. 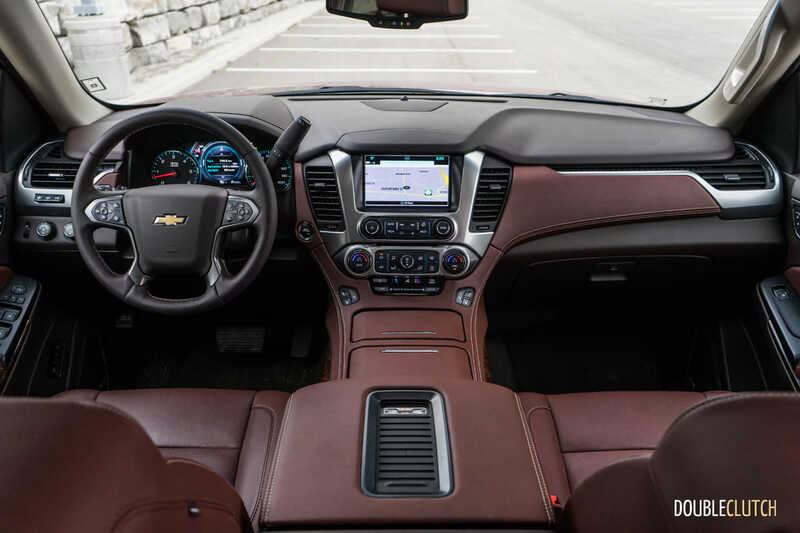 The choice between the Chevrolet and the GMC is extremely subjective, but if in the market, you owe it to yourself to closely examine the differences and determine which truck better serves your specific needs.